Child care, education, games, safety Childcare: Guilty SpongeBob? Psychologists at the University of Virginia's Child Development Laboratories published new research, that reveals how cartoons influences children's development. Angeline Lillard and Jennifer Peterson, investigated whether watching fast-paced television had an immediate impact on kids' executive function -- skills like attention, working memory, problem solving and delay of gratification that are associated with success in school. A group of 60, 4 years old children was asked to participate in different activities to determine how cartoons affect short term attention in children. 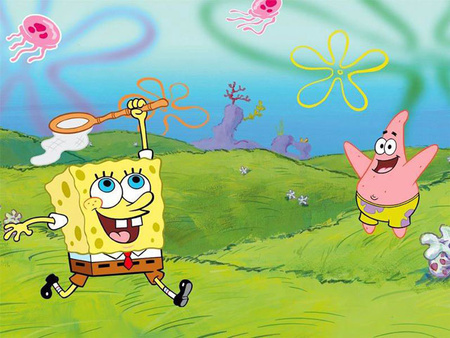 The study, published in this month's issue of Pediatrics, shows that children who watched nine minutes of Nickelodeon's "SpongeBob SquarePants" did markedly worse on various tests than their peers who watched slower paced cartoons or spent time drawing. "Looking at all of the tasks we gave together, you could say that the children were operating about half capacity after watching SpongeBob, relative to how they were doing after watching the other show, or drawing," Lillard said. In a statement, the network stated, "Having 60 non-diverse kids, who are not part of the show's targeted [audience], watch nine minutes of programming is questionable methodology and could not possibly provide the basis for any valid findings that parents could trust." But Lillard begs to differ, "We use replication, so we use, 'let's try this study again,' and we made sure before this paper came out in Pediatrics that we had replicated the study." "We found it with another episode of SpongeBob. We also used a different fast paced fantastical cartoon, 'Fanboy & Chum Chum,' and got the same effect. So we think it's something generalisable to fast paced fantasy cartoons." Despite the critical responses, psychologists wants to continue the findings and the research. Only SpongeBob is guilty? Lillard says it's nothing personal. "I don't want to pick on SpongeBob at all, a lot of people like SpongeBob very much," Angeline said. "What I would like is for parents to think about what kind of a media diet their children are on, and think about what kind of information children might be picking up from such shows."